We’ve noticed over the past couple of years a huge increase in the popularity of Pilates, and we definitely understand what all the hype is about! We often get asked what the difference is between Clinical and regular Pilates is, so we thought we’d break it down for you all in a blog post! Pilates uses a series of exercises and movements to improve strength, flexibility, balance, posture and overall fitness. Clinical Pilates has taken these aspects of the discipline and built on them to be specific to each individual and their specific needs (whether it be an injury or a concern) and creates a tailored program around them. 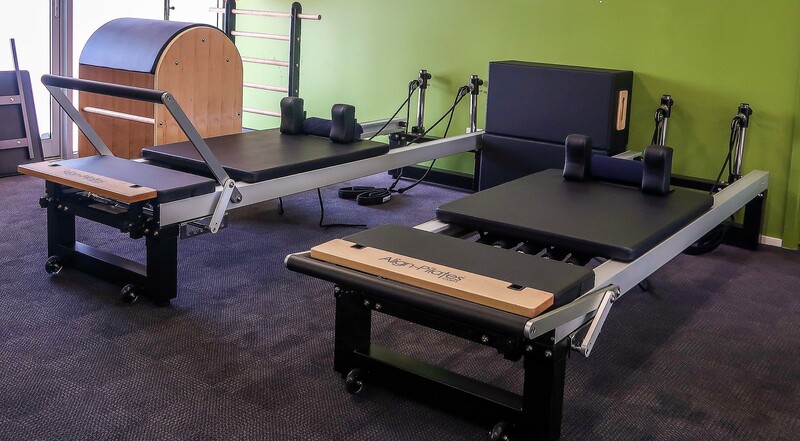 At Sportreat, Clinical Pilates classes are available daily, are lead by Physiotherapists, and kept to a maximum of five participants in each class. This allows the Physio to work individually with everyone, adapt exercises and tailor the Pilates exercises accordingly. Improves Strength and overall fitness. Improves balance, posture, and flexibility. Use of reformers and other tools specific to Pilates. Individually tailored program which is based on a clinical assessment performed prior to beginning classes. Exercises adapted to individual’s needs based on primary concerns including current injuries, if any. Progressive adaptation of exercises over time to suit each class participant’s individual goals. Claimable on Private health through Physio Cover. If you’d like to know more about Clinical Pilates, or you’d like to sign yourself up, give our friendly reception staff a call on 9438 2400! 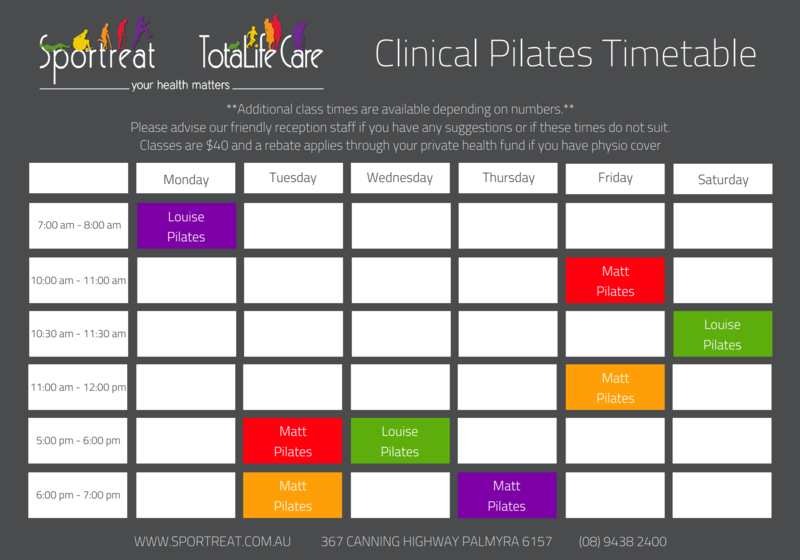 Or read more about Clinical Pilates at Sportreat TotaLife Care here.